Several challenges presently impede the conduct of prospective clinical studies in orthopaedic oncology, including limited financial resources to support their associated costs and inadequate patient volume at most single institutions. 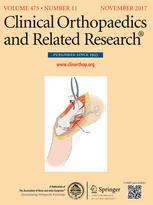 This study was conducted to prioritize research questions within the field so that the Musculoskeletal Tumor Society (MSTS), and other relevant professional societies, can direct the limited human and fiscal resources available to address the priorities that the stakeholders involved believe will have the most meaningful impact on orthopaedic oncology patient care. 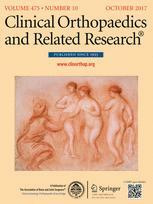 The purpose of this study was to use a formal consensus-based approach involving clinician-scientists and other stakeholders to identify the top priority research questions for future international prospective clinical studies in orthopaedic oncology. A three-step modified Delphi process involving multiple stakeholder groups (including orthopaedic oncologists, research personnel, funding agency representation, and patient representation) was conducted. First, we sent an electronic questionnaire to all participants to solicit clinically relevant research questions (61 participants; 54% of the original 114 individuals invited to participate returned the questionnaires). Then, participants rated the candidate research questions using a 5-point Likert scale for five criteria (60 participants; 53% of the original group participated in this portion of the process). Research questions that met a priori consensus thresholds progressed for consideration to an in-person consensus meeting, which was attended by 44 participants (39% of the original group; 12 countries were represented at this meeting). After the consensus panel’s discussion, members individually assigned scores to each question using a 9-point Likert scale. Research questions that met preset criteria advanced to final ranking, and panel members individually ranked their top three priority research questions, resulting in a final overall ranking of research priorities. A total of 73 candidate research questions advanced to the consensus meeting. In the end, the consensus panel identified four research priorities: (1) Does less intensive surveillance of patients with sarcoma affect survival? 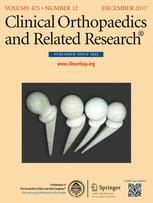 (2) What are the survival outcomes over time for orthopaedic oncology implants? (3) Does resection versus stabilization improve oncologic and functional outcomes in oligometastatic bone disease? (4) What is the natural history of untreated fibromatosis? The results of this study will assist in developing a long-term research strategy for the MSTS and, possibly, the orthopaedic oncology field as a whole. 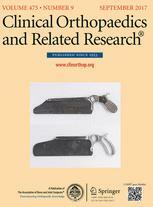 Furthermore, the results of this study can assist researchers in guiding their research efforts and in providing a justified rationale to funding agencies when requesting the resources necessary to support future collaborative research studies that address the identified orthopaedic oncology priorities.